RT – March 23, 2018: The UK defence ministry has been caught up in the scandal surrounding Cambridge Analytica. The firm allegedly harvested the personal data of millions of Facebook users and exploited it for political goals. BATTLE FOR WORLD / NEXTGOV | April 19, 2019: The article highlights that the FBI has not yet assessed whether its facial recognition systems meet privacy and accuracy standards almost three years after the congressional regulator—the Government Accountability Office—raised multiple concerns about the bureau’s use of the technology on American citizens. Since the year 2015, the FBI and other law enforcement agencies have used the Next Generation Identification-Interstate Photo System, which uses facial recognition software to link potential suspects to crimes, pulling from a database of more than 30 million mugshots and other photos of citizens. BATTLE FOR WORLD / CNBC | January 29, 2019: The article highlights that there’s a FaceTime bug that lets you hear through someone else’s iPhone communication, even if they have not answered your phone call. This bug is being talked about on Twitter by user Benji Mobb and reported by 9to5Mac. And according to CNBC, they have tested it and verified that it’s a real bug. The tester placed a video call to my editor from my iPhone using Apple’s FaceTime app. 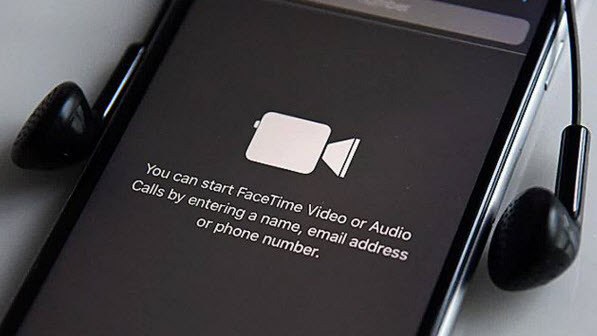 Then, before he picked up, I used the menu option to add somebody else to the call and, as 9to5Mac’s directions state, I added myself to the call. Suddenly, I could hear my editor, even though he never picked up. We continued having a conversation while his phone only gave him the option to answer. There was no indication that the call had already gone through. BATTLE FOR WORLD / SPUTNIK NEWS – December 20, 2018: The article highlights that a damning report by the New York Times Tuesday (December 18) found that, despite its claims to the contrary, Facebook has been making money by giving other companies much more access to its 2.2 billion users’ data than it let on. And Companies like Microsoft and Amazon collected data on hundreds of millions of Facebook users a month, including email addresses and phone numbers, without the knowledge or consent of the people whose information they were collecting. Listen to “Facebook selling even more user data than previously thought” on Spreaker. BATTLE FOR WORLD / RT – December 16, 2018: Trinity Chavez reports about an investigation that has uncovered the ominous fact that several popular smartphone apps track users’ location and that users are inadequately informed. What’s more, they are selling the location data to third parties. BATTLE FOR WORLD / SPUTNIK NEWS – December 11, 2018: The article highlights that the Australian Competition and Consumer Commission (ACCC), which is the country’s competition regulator, recommended overseeing the commercial activities of Google and Facebook in order to protect smaller tech firms. In their preliminary report released Monday (December 10), the ACCC called for a powerful new body which would have the authority to demand information as to how the two companies adapt their algorithms and as well as investigate how both giant tech companies might be favouring their own businesses ahead of other companies, the Hill reported. RT – September 7, 2018: The article highlight that if you had any lingering doubt that Facebook has become little more than a vehicle for US government censorship and Western propaganda, a recent Washington Post op-ed by Mark Zuckerberg should remove any ambiguity. In his short and snappy op-ed, Mark Zuckerberg admits that “protecting democracy” is an “arms race” and reaffirms Facebook’s commitment to winning. Put another way, Zuckerberg is telling us that social media is a weapon — and that he has picked a side. Because, let’s not labor under the false illusion that Facebook cares about democracy everywhere. In Zuckerberg’s world, there are bad guys and good guys — and he’s relying on the good guys to tell him what’s what. The problem is that, coincidentally, the good guys always seem to be tied to Western or Western-aligned governments — and the bad guys always just happen to be the ones those governments don’t seem to like very much. A conundrum which I’m sure was totally unintentional and which Facebook is no doubt working very hard on figuring out. As he says in the Post, Facebook is working very hard to “improve its defenses” against any kind of unfair or nefarious influence and it has been doing its very best to remove “fake accounts and bad content” in recent months. Facebook As The Ultimate Government Surveillance Tool? FORBES – July 21, 2018: The article highlights that there are many governments across the world that very much aware of the potential of Facebook’s advertising tools for surveillance and indeed use them actively to track specific demographics and interests, using the company’s built-in reporting tools to identify geographic areas and demographics to target for further surveillance. Today much of the governmental use of Facebook’s ad targeting tools revolves around using its publicly accessible targeting and reporting tools to understand things like which neighborhoods have the highest density of persons in a particular demographic that also have a particular interest of concern to the government. …Geographic reporting tools allow neighborhood-level identification of where those demographics and interests coincide, allowing surveillance resources to be increased in those areas. In spite of their incredible power and public availability, Facebook’s ad tools are still a relatively blunt instrument compared to traditional individual-level surveillance tools, said the article. WSJ – July 21, 2018: The article highlights that Facebook says it was probing whether data-analytics firm Crimson Hexagon’s government contracts comply with Facebook policies. Facebook, in response to questions from The Wall Street Journal this week about its oversight of Crimson Hexagon’s government contracts and storing of user data, said Friday it wasn’t aware of some of the contracts. On Friday, it said it was suspending Crimson Hexagon’s apps from Facebook and its Instagram unit, and launching a broad inquiry into how Crimson Hexagon collects, shares and stores user data. SPUTNIK NEWS / BATTLE FOR WORLD – November 27, 2018: The article highlights Dozens of US consumer groups urged the Federal Trade Commission (FTC) in a Tuesday (November 27) letter to investigate Google’s location tracking practices, which they allege the tech giant “manipulates and nudges” Android users into turning on. The charge parallels one made by eight EU countries Tuesday. Indeed, a report by researchers at the University of Washington published in October 2017 proved how easy it is to uncover someone’s identity by using targeted ads in apps that track users’ location information. By creating a mobile banner ad and a website that served as the landing page if someone clicked on that ad, the research team was able to figure out some of the key aspects of a test subject’s life by tracking their location information given to the ad. SPUTNIK NEWS – July 16, 2018: Microsoft president Brad Smith, in a July 13 blog post, brazenly called on the US government to regulate face-recognition technology, claiming that the technology comes with too many risks. “Facial-recognition technology raises issues that go to the heart of fundamental human rights protections like privacy and freedom of expression,” Smith published in the blog post. “The only effective way to manage the use of technology by a government is for the government proactively to manage this use itself. And if there are concerns about how a technology will be deployed more broadly across society, the only way to regulate this broad use is for the government to do so,” he said, suggesting that both the public and private sectors should work to develop “norms around acceptable uses” of the technology. “Imagine a government tracking everywhere you walked over the past month without your permission or knowledge. Imagine a database of everyone who attended a political rally that constitutes the very essence of free speech,” said Smith in the post. WSJ – July 13, 2018: The article highlights that all ears are always-on and that listening devices could soon be everywhere. And that tiny microphones are moving us toward a world where all gadgets can respond to a voice command. If every tree falling in every forest might soon be heard by an internet-connected microphone, what hope is there for our privacy? Add in the latest advancement in smart wireless headphones—Apple’s expected next-generation AirPods or competing ones from Bose or Shure—along with talking microwave ovens and TVs from Samsung, LG and others, and anyone at home or in an open-plan office could soon be within earshot of hundreds of microphones. Most of them will be listening for a wake word like “Alexa,” “Hey Siri,” or “OK Google,” just as our phones and smart assistants do now. The roadmaps of tech giants and startups alike show how sound is poised to become the first ubiquitous connection between users and the artificial-intelligence hive mind the internet is becoming. Driving this change are massive volumes of components, originally designed for smartphones and other mobile devices, that have dropped in price and grown in functionality over the past decade. WSJ – July 3, 2018: The article highlights that software developers scan hundreds of millions of emails of users who sign up for email-based services. But the internet giant continues to let hundreds of outside software developers scan the inboxes of millions of Gmail users who signed up for email-based services offering shopping price comparisons, automated travel-itinerary planners or other tools. Google does little to police those developers, who train their computers—and, in some cases, employees—to read their users’ emails, a Wall Street Journal examination has found. CHICAGO TRIBUNE – July 3, 2018: The article highlights that a federal investigation into Facebook’s sharing of data with political consultancy Cambridge Analytica has broadened to focus on the actions and statements of the tech giant and involves three agencies, including the Securities and Exchange Commission, according to people familiar with the official inquiries. Representatives for the FBI, the SEC and the Federal Trade Commission have joined the Justice Department in its inquiries about the two companies and the sharing of personal information of 71 million Americans, suggesting the wide-ranging nature of the investigation, said the people, who spoke on the condition of anonymity to discuss a probe that remains incomplete. These people added that the emphasis has been on what Facebook has reported publicly about its sharing of information with Cambridge Analytica, whether those representations square with the underlying facts and whether Facebook made sufficiently complete and timely disclosures to the public and investors about the matter. SPUTNIK NEWS – June 18, 2018: Thinking about deleting your Facebook account? You’re not alone. A new study by public relations consultancy Edelman published Monday reveals that 42 percent of people recently surveyed had deleted at least one social media account in the past year due to privacy concerns, while 62 percent urged for additional regulation of such platforms over fear of fake news circulation. The company surveyed 9,000 people in Brazil, Canada, China, France, Germany, India, the United Arab Emirates, UK and US. Seventy percent of those surveyed revealed that they believe businesses and advertisers should press social media sites to remove offensive and fake content, while 48 percent of respondents said that brands should be blamed if their advertising involves hate speech or violent content. 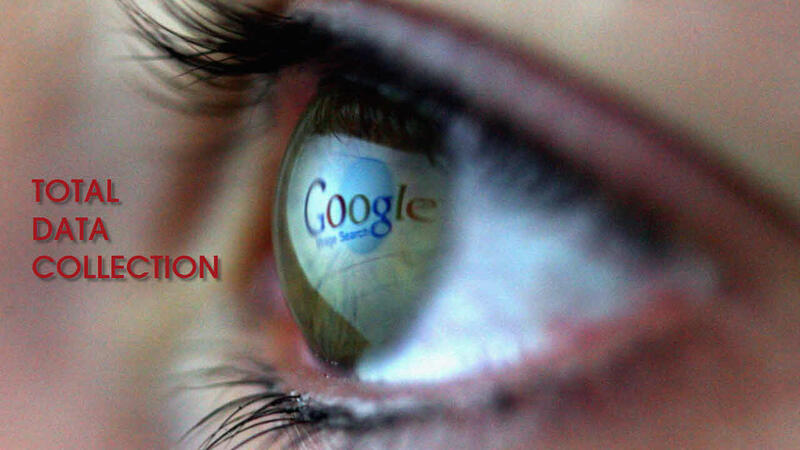 WND – June 18, 2018: The article highlights that the digital world has been flooded with concerns in recent months over the power of the giant tech companies, particularly Google and Facebook, to control the flow of information. “Two companies dominate the market. The privacy of internet users is under assault. The revenue model that sustained journalism is broken. The ad platforms are manipulated by foreign adversaries. Secrecy and complexity are increasing as accountability is diminished,” said the Electronic Privacy Information Center in a statement delivered to members of Congress. 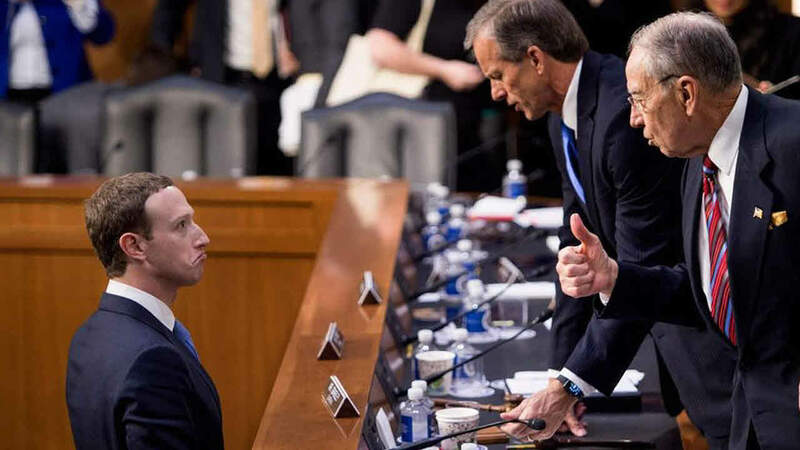 Facebook Data Deals Revealed ‘Deep Access’; Contradicts Testimony To Congress? NY TIMES – June 4, 2018: The article highlights that Facebook gave device makers “deep access” to data on users and friends information. And that the company formed data-sharing partnerships with the likes of Apple, Samsung and dozens of other device makers, raising new concerns about its privacy protection policy. As Facebook sought to become the world’s dominant social media service, over time it struck agreements allowing phone and other device makers access to vast amounts of its users’ personal information. THE HILL – June 4, 2018: A Democratic congressman hammered Facebook and its CEO, Mark Zuckerberg, following a report that the company is sharing large amounts of its users’ data with other companies. “Sure looks like Zuckerberg lied to Congress about whether users have ‘complete control’ over who sees our data on Facebook,” Rep. David Cicilline (D-R.I.) tweeted on Sunday. “This needs to be investigated and the people responsible need to be held accountable,” the top Democrat on the House Judiciary antitrust subcommittee continued. THEVERGE – May 18, 2018: Google has built a multi-billion-dollar business out of knowing everything about its users. Now, a video produced within Google and obtained by The Verge offers a stunningly ambitious and unsettling look at how some at the company envision using that information in the future. The video was made in late 2016 by Nick Foster, the head of design at X (formerly Google X) and a co-founder of the Near Future Laboratory. The video, shared internally within Google, imagines a future of total data collection, where Google helps nudge users into alignment with their goals, custom-prints personalized devices to collect more data, and even guides the behavior of entire populations to solve global problems like poverty and disease. RT – April 4, 2018: The personal information of 87mn users was improperly shared with Cambridge Analytica, the social media giant has said, while also admitting that they “believe most people on Facebook” have had their data misused at some point. “In total, we believe the Facebook information of up to 87 million people — mostly in the US — may have been improperly shared with Cambridge Analytica,” Mike Schroepfer, the Chief Technology Officer of Facebook, said on Wednesday. Facebook’s reputation has been pummeled in recent weeks, following disclosures that data mining firm Cambridge Analytica collected the personal data of at least 50 million Facebook users, in order to target voters as part of President Donald Trump’s 2016 election campaign. The tech giant also announced nine major changes which, it hopes, will safeguard privacy in the wake of the scandal. It is reducing the amount of users’ information that apps can access from Facebook events and Groups. Other changes include the complete removal of a feature which meant people could enter another person’s phone number or email address into a Facebook search to find them. This is because the feature allowed user’s information to be ‘scraped’ by malicious actors. “We believe most people on Facebook could have had their public profile scraped in this way,” Schroepfer said. SPUTNIKNEWS – April 4, 2018: A new anti-virus feature employed by one of the most popular web browsers in the world has apparently stirred privacy concerns among some users due to the tool’s discreet nature. 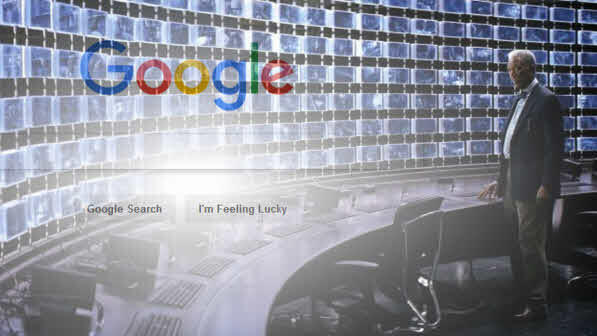 A number of Google Chrome users recently became aware of the fact that not only does their browser allow them to surf the web, it also quietly scans their personal files without prior consent. According to Motherboard, the culprit turned out to be the updated version of Chrome Cleanup Tool, which uses software from the cybersecurity company ESET to scans users’ files looking for malware targeting the browser. If suspected malware is detected, the Cleanup Tool then sends the suspicious file’s metadata to Google and asks the user’s permission to remove the potential threat. This development came to light when cybersecurity expert Kelly Shortridge noticed that Chrome actually scans files located in the Documents folder on her PC. DAILYMAIL – March 29, 2018: The article highlights that Web developer Dylan Curran downloaded all of the data stored on him by Facebook and Google. And that Google’s data archive was almost ten times larger than scandal hit Facebook’s. The surveillance information dated back to 2008 and revealed a level of detail that shocked the IT expert. He laid out the extent of the private information held on him in a series of tweets. 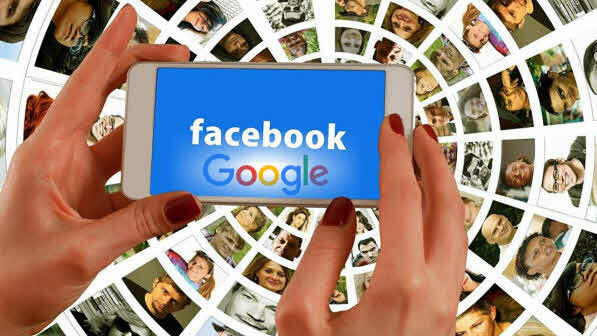 Facebook has hit the headlines in recent weeks over its handling of your private data, and now the shocking extent of information held by Google has been revealed. In a series of tweets, one IT expert has laid out exactly what the search giant knows about him, dating back to 2008, which he describes as ‘preposterous’. 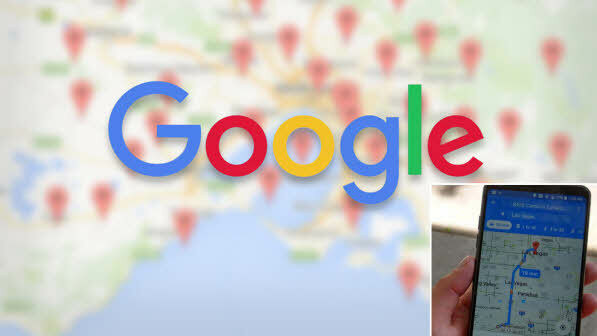 It ranges from every place he visited in the past year to every website he clicked on, and even contained files deleted from his Google Drive cloud storage account. The news comes in the wake of the Cambridge Analytica scandal, which saw a Trump-affiliated firm obtaining data on 50 million unsuspecting Facebook users. This information was used to target voters in the US, based on psychological profiling, with political adverts spreading disinformation. SPUTNIKNEWS – March 25, 2018: Cook County, Illinois, is now the first government entity to sue Facebook for the ongoing Cambridge Analytica scandal. A new case was filed in the Circuit Court of Cook County last week and outlines allegations similar to those laid out in six other lawsuits filed against Facebook in a federal court. The allegations state that data and political consultancy firm Cambridge Analytica received information about Facebook users through a personality app developed by Alexander Kogan, a Cambridge University researcher. Media reports state that the firm worked for US President Donald Trump’s 2016 campaign as well as the Brexit campaign to develop a mechanism that would allow it to predict and influence voter behavior. The analytics contractor reportedly kept private data from 50 million Facebook users. “This kind of mass data collection was not only allowed but encouraged by Facebook, which sought to keep developers building on its platform and provide companies with all the tools they need to influence and manipulate user behavior,” wrote Jay Edelson, an attorney representing Cook County, in the complaint. PJMEDIA – March 27, 2018: Cambridge Analytica whistleblower Christoper Wylie, appearing before a committee of British MPs on Tuesday, said that Facebook has the ability to spy on users in their homes and offices. The British parliament is investigating Cambridge Analytica’s involvement in the Brexit election. MP Damian Collins, who chaired the committee, asked Wyle whether Facebook has the ability to listen to what people are talking about in order to better target them with ads. “There’s been various speculation about the fact that Facebook can, through the Facebook app on your smartphone, listen in to what people are talking about and discussing and using that to prioritize the advertising as well,” Collins said. “Other people would say, no, they don’t think it’s possible. It’s just that the Facebook system is just so good at predicting what you’re interested in that it can guess.” He asked for Wylie’s thoughts on the possibility. RT – March 28, 2018: Facebook has said it will no longer offer an advertising option that exploits personal data provided by third-party aggregators. The company, still bleeding from the Cambridge Analytica scandal, said it wants to improve privacy. Among the companies that will be affected by the new measure are: Acxiom, which provides data from the US, the UK, France, Germany and Australia, Epsilon, which monitors the US consumer preferences, as well as Oracle Data Cloud, which collects data in the US and the UK, Experian, TransUnion and others, Facebook Product Marketing Director Graham Mudd indicated in a statement that was circulated by industry news sites. 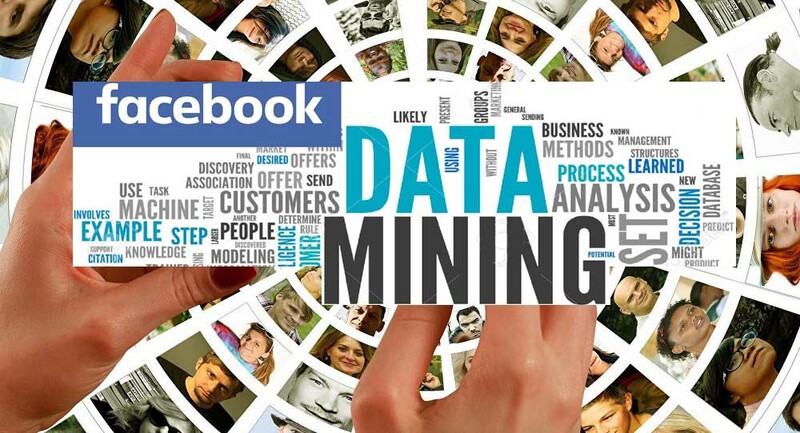 The companies, all major data aggregators, helped Facebook to provide advertisers with valuable information concerning consumer behavior outside the web. This included the users’ shopping habits, information on their home or car ownership, family make-up and other offline data that is essential for advertisers to make a precise targeting choice. RT – March 26, 2018: “Mark Zuckerberg needs to apologise for the breach of data, he hasn’t done yet” says internet law expert Yair Cohen as a poll suggests Facebook is the least trusted American tech company. SPUTNIKNEWS – March 23, 2018: Trump’s new national security adviser John Bolton ordered several years ago a research from Cambridge Analytica, which was based on illegally acquired Facebook users’ data, local media reported. The first order for research by Bolton’s political action committee, The John Bolton Super PAC, was made in August 2014, when the company was still in the process of collecting data from the users of the social network, The New York Times reported Friday, citing former company employees and campaign finance records. “The data and modeling Bolton’s PAC received was derived from the Facebook data. We definitely told them about how we were doing it. We talked about it in conference calls, in meetings,” Cambridge Analytica’s former data expert, who is also one of the company’s founding members, Christopher Wylie, was quoted as saying by the newspaper. METRO – March 24, 2018: Cambridge Analytica’s offices in London have been raided by authorities. And enforcement officers for the Information Commissioner (ICO) spent nearly seven hours at the premises in New Oxford Street overnight. The data analytics firm is currently under fire after it was claimed it may have illegally acquired personal Facebook data that could have been used to help Donald Trump get elected and Brexit pass. ICO’s investigation includes the acquisition and use of Facebook data by CA, its parent company SCL and academic Dr Aleksandr Kogan, who developed the app used to gather data. RT – March 23, 2018: Investigators from the Information Commissioner’s Office have searched the London offices of Cambridge Analytica and seized files and servers. The raid forms part of an investigation into its Facebook data harvesting. Around 20 officials wearing black jackets emblazoned with “ICO Enforcement” entered the offices on Friday, according to reports. A UK High Court judge had granted the Information Commissioner’s Office’s application for a warrant to search the London offices of Cambridge Analytica earlier on Friday evening. Judge Leonard told the court he will outline his reasons for granting the application next Tuesday. UK Information Commissioner Elizabeth Denham will use Cambridge Analytica’s files and servers as part of the investigation into how the firm harvested data on 50 million Facebook users without their knowledge. RTUK – March 23, 2018: Amid the Cambridge Analytica scandal we take a look at the key players involved. RT – March 23, 2018: There’s a good chance that a week ago you’d never heard of Cambridge Analytica. This week you’d be forgiven for thinking that, with the help of Facebook, it’s been controlling your every thought for years. In the constant search to explain exactly why the results of democratic votes are no longer always going the way the establishment wants, Russia got a week off. And this week’s target was Cambridge Analytica (CA). CA harvested data from millions of Facebook profiles, and sold it on to figures who were, for example, trying to get Donald Trump elected or those who were pushing Brexit. (Between you and I, Barack Obama also used harvested data during his election campaigning, but that has been largely brushed over during this scandal). RTUK – March 23, 2018: “I don’t see why they are spending huge amounts of money on propaganda work” says Chris Nineham, vice-chair of Stop the War Coalition, as it’s revealed the Ministry of Defence paid SCL (Cambridge Analytica’s parent company) for ‘psycho-social’ probe. NYPOST – March 23, 2018: Mark Zuckerberg is stuck in a catch-22. Any fix for Facebook’s previous big problem — fake news — would make the current big problem with data harvesting worse. CBSLOCAL – March 23, 2018: There is a new development in the Facebook data case: A Maryland woman is now suing Facebook over the release of personal information that made her a target for political advertisements. Marylander Lauren Price is taking Facebook to court with what she hopes will become a class action lawsuit over privacy data that ended up in the hands of political advertisers trying to influence votes. It’s a hefty piece of litigation, as Price is suing on behalf of herself and all others similarly situated. All others are the 50 million Facebook users who had information they did not give, used to target them for ads they did not want about candidates to influence their vote. “This was a major breach of trust and I’m really sorry that this happened,” Facebook CEO Mark Zuckerberg said while on CNN. BLOOMBERG – March 23, 2018: The article highlights that ICO plans to ‘execute the warrant shortly,’ regulator says. And that privacy watchdogs will ‘work together’ as U.K. probe continues. The U.K.’s top privacy watchdog was granted a warrant to search the offices of Cambridge Analytica in the wake of allegations that information on millions of Facebook Inc.’s users was scooped up without their consent, widening a probe that has cut the Internet giant’s share price by more than 10 percent this week. MOTHERJONES – March 23, 2018: In the late summer of 2015, Chris Wilson, the director of research, analytics, and digital strategy for Sen. Ted Cruz’s presidential campaign, had a conversation with a contractor that left him furious. A widely respected pollster who had taken leave from his firm to work full time for Cruz, Wilson oversaw a team of more than 40 data scientists, developers, and digital marketers, one of the largest departments inside Cruz’s Houston-based operation. The Iowa caucuses were fast approaching, and the Cruz campaign had poured nearly $13 million into winning the opening contest of the primary season.